Looks great, works really well, decent build quality, and seems to be reliable. Display can be tricky to read if viewing from below. Asides from that, it's a great microwave. 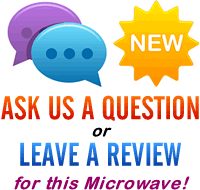 Looking to buy a large solo microwave? The Panasonic NN-ST479SBPQ may just tick that box, offering a huge 27 litre capacity, 900w of power and is finished in an expensive looking brushed stainless steel exterior. The interior is also finished in the same stainless steel finish, making this appliance look good and also having the bonus of being easy to clean. It features a large 34cm turntable which should accommodate the majority of large dinner plates, and overall build quality is very good, as you'd expect from a manufacturer such as Panasonic. This microwave features a lot of buttons on the right hand side - however each one is clearly labelled, and we were operational in no time. Six different power levels are included, as well as auto cook options for six different food types: Bread/Meat, Veg/Fish, Potatoes, Meat/Chicken, Rice/Pasta and Puddings. 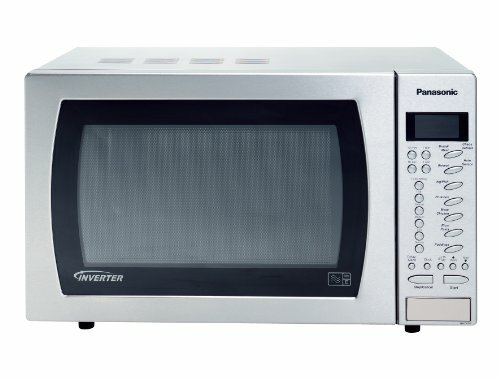 Our testers were very impressed with this silver microwave oven, with it being both easy to operate, as well as offering very good performance. The only slight flaw we could find was that if you place this microwave up on a high shelf, then the display can be a little difficult to read from below - from all other angles it was fine though. Overall the Panasonic NN-ST479SBPQ offers very good build quality, a designer look and good all round performance. If you're after a reliable 27 litre capacity solo microwave, then this model is well worth considering. I’m looking for a new combi-microwave. ive had, and been happy with panasonic tvs, music centres, etc, but not microwave. ive seen your review for nn-ct579s and am looking for any reviews for nn-ct585s. I feel I will be deciding between the two. have you compared the two or reviewed the 585s.